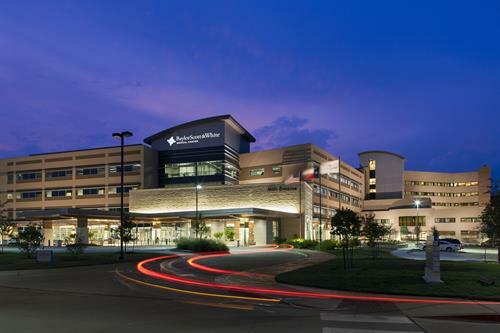 Baylor Scott & White Medical Center – Grapevine is a full-service, fully-accredited not-for-profit hospital serving residents in more than 20 cities throughout the Dallas/Fort Worth region. Focused on being the best place to give and receive safe, quality, compassionate health care, Baylor Scott & White – Grapevine works to lead the transformation of health care. The 302-bed hospital offers advanced medical services for heart and vascular, women and children, neurosciences, stroke, orthopedics, spine, diagnostic imaging, neonatal intensive care, intensive and emergency care. Founded as a Christian ministry of healing, Baylor Scott & White Health exists to serve all people through exemplary health care, education, research and community service. Baylor Scott & White – Grapevine has a rich history of providing safe, quality, compassionate health care to each and every one of the communities we serve.